When we say watermelon, we directly link it to hot summer, beach and sun! No other fruit says summer like this crunchy, succulent, thirst relieve watermelon! 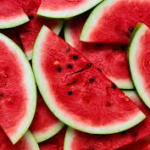 Watermelon is not only great for a hot summer day, it also helps treat inflammation that contributes to asthma, diabetes, cholesterol and colon cancer. It has the most powerful antioxidants!! Juicy watermelon is very rich in vitamin C and because it is concentrated in beta carotene, it is also rich in vitamin A so it is excellent for the skin and the hair. Pink watermelon is also rich in lycopene, which is a powerful antioxidant that prevents heart attacks and strokes, as well as prostate and breast cancer! 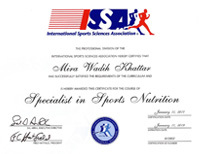 LYCOPENE IS ALSO FOUND IN TOMATOES AND MANGOES. Watermelon is rich in vitamin B6, magnesium, and potassium, so it is used to treat high blood pressure, and to minimize anxiety. 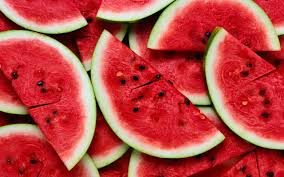 Watermelon is high in water content, almost 93% of water, making it the best thirst relieve fruit, and best fruit to detoxify the body. And finally, all these nutrient benefits for only 45 calories per one big piece!! What about some refreshing watermelon summer cooler!